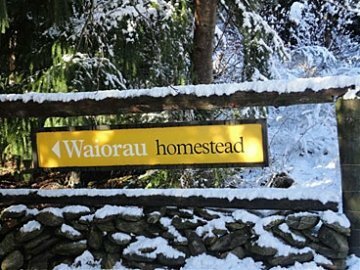 Relax and unwind after skiing at the Waiorau Homestead this winter with one of our Ski Cardrona Accommodation Packages options. Stay in a luxurious bedroom with ensuite bathroom, partake in some of the finest local wines and nibbles, soak up in the alpine air in our outdoor hot tub or star-gaze in front of our outdoor fireplace… all just a stone’s throw from the access roads to Cardrona Ski Resort, and Snow Farm Nordic Ski Area and 30 minutes from Treble Cone, Coronet and Remarkables ski fields. Waiorau Homestead’s resident chef will be happy to prepare you a gourmet dinner on request. Using only local produce including Cardrona lamb, venison, salmon and freshly grown vegetables (in season) from the Homestead’s gardens. This dinner has proven to be a highlight for many of our guests and comes highly recommended. See some recent reviews here. Offer valid 6 June 2019 – 15 October 2019, subject to availability. 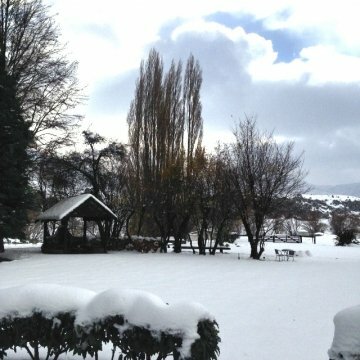 To avail of our Winter Specials please email us or call +64-3-443 2225 directly. Our outside fireplace in the snow. 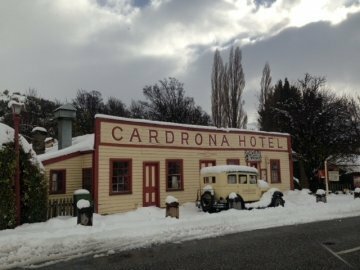 The Cardrona Hotel is just down the road.